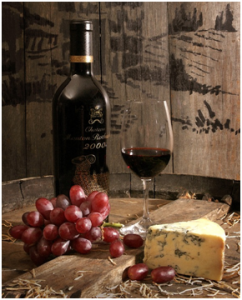 Home » Blog » Finance » Is Wine a Smart Investment to Boost Up Your Personal Finances? The business world is one in which huge revenues come from smart investments. Over time, various items or products have been the main point of attraction for investors interested in boosting their finances. 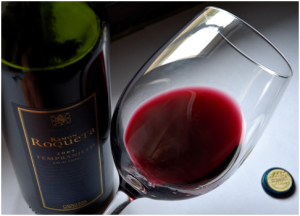 Wine has always played an important role in this game and it looks like in the last two years it has managed to become the most luxurious investment for those interested in huge earnings in five to eight years from the moment of their initial investment. People have always invested in wine – it is no new phenomenon on the market. However, what is new is how much investors are willing to consider in terms of finances now during the initial investment stage so that their revenues might be big ones meant to boost up their personal finances. Moreover, the trend now is to invest in fine wine because it is way up in terms of financial value thus ensures nice earnings over time. Fine wine starts maturing once it is bottled so it improves with age. Only a limited quantity is usually produced every year. As the bottles of fine wine are consumed the supply starts becoming smaller and smaller. Usually, as the supply starts diminishing, the demand starts rising. This is also influenced by the fact that most demands come for matured fine wine. A great advantage of fine wine in the world of investments is represented by the fact that it is a finite product. This way, people invest in a tangible asset that has been properly improved and which is only produced in a limited editionfor which there is huge demand around the world. The initial supply is valuable. However, as the supply starts getting reduced, the value of the remaining supply usually rises way up. Another reason why wine represents a smart investment item for you to consider if you want to increase your earnings is represented by the fact that you will be investing in a tangible asset. You know the value of your merchandise all the time. When your chosen wines for investment do not perform from a financial point of view, it is better to consume and enjoy them rather than sell them at a loss. However, this rarely happens. Usually, wine investors choose the best wine brands after serious research that ensures their success in the end. The wine investment market is like any other from a general perspective with the price rising and going down and up. However, if you focus on fine wine that has proven its worth in the past, you cannot go wrong as long as all the steps are followed and all the important factors and requirements are considered. Moreover, make sure you purchase good merchandise from established merchants only if you want to be certain of the value of your investment in the future. People who buy fine wine usually know very well what they want so if you get fooled this does not mean that others will follow your lead. Even if you may not be an expert in this field of activity, others are and it may not be a bad idea to ask for support before making a serious investment. Furthermore, in terms of the best investment term to consider, it looks like this is not the short one. You can obtain certain fast earnings sometimes but the real gaining usually come from a mid to long-term process of wine investments. Five years is the minim standard norm that specialists advise to be considered for obtaining earnings but eight to ten years is the perfect period that will ensure increased revenues. All in all, there is clear proof now that wine has performed more than favorably amongst the strongest choices of investments in the last few years. Moreover, fine wine tends to always remain more robust than numerous other major investments. Focus on choosing good wine to invest in, follow all the necessary steps to ensure it matures well to raise its value and never sell it to the lowest or fastest bidder. As your supply decreases, the value of your merchandise increases and you can make a fortune with fine Petrus wine and other brands.